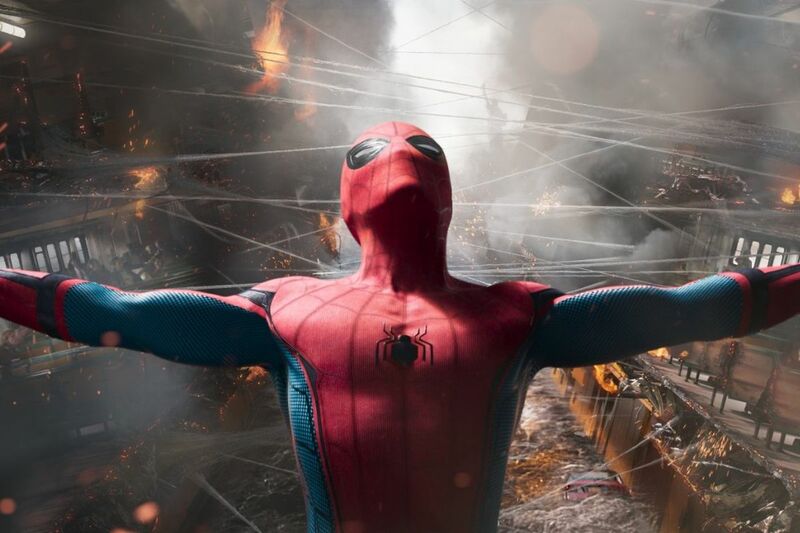 Over the past decade, Spider-Man’s famous credo — “with great power comes great responsibility” — could very well apply to Sony, the studio that owns the film rights to Marvel’s web-slinging superhero. Despite Spider-Man’s massive, multigenerational fan base, Sony has struggled to give the legendary character an equally legendary story on the big screen. Spider-Man (2002) and Spider-Man 2 (2004) were the makings of a solid franchise, but then 2007’s Spider-Man 3seemed to cast a dark spell over the superhero’s cinematic legacy. Not only was the movie a sour end to a once-promising trilogy, but it was followed by an underwhelming, too-soon reboot in 2012’s The Amazing Spider-Man, an aggressively mediocre sequel to said reboot, and then a series of delays and uncertainty from the studio in response to that sequel’s disappointing box office haul. The problem with the middling Spider-Man films is that they failed to make Peter Parker feel like Peter Parker. They either strayed too far from the spirit of the character, à la Spider-Man 3, or misunderstood it altogether, resulting in movies that felt hollow or inconsequential. Patient Spider-Man fans have been waiting 10 years for a story that’s worthy of Spider-Man’s legacy — one that’s as much about the heart and soul of its hero as it is about slinging and swinging through the city sky. And with Spider-Man: Homecoming, which brings Marvel Studios back into the Spider-Man fold as a co-producer with Sony, that story is finally here. The movie is a soaring, fearless teenage dream. And it feels so great to be able to say: Welcome home, Spidey. Within the pop culture sphere, Spider-Man’s origin story has become an American superhero nativity scene of sorts. Even if you haven’t read any Spider-Man comics or seen any Spider-Man movies, you likely know that a radioactive spider bites Peter Parker, giving him superpowers — strength, the ability to cling to walls, a sixth sense, etc. — and that Peter’s beloved Uncle Ben dies because Peter didn’t stop a criminal when he had the chance. Except for Batman, whose story is rooted in the deaths of his parents, Thomas and Martha Wayne, there is no other superhero whose beginnings are as well-known as Peter Parker’s/Spider-Man’s. It’s curious and savvy, then, that Spider-Man: Homecoming writer-director Jon Watts and co-writers Jonathan Goldstein, John Francis Daley, Christopher Ford, Chris McKenna, and Erik Sommers eschew all of those basic details. We don’t see Peter Parker (Tom Holland) get bitten. There aren’t any references to Uncle Ben. We don’t even know the full extent of Peter’s powers; the limits of his strength, durability, “Spider-Sense,” and agility are never fully explained. What Homecoming does show us is a Peter Parker who’s just an underappreciated high school sophomore with a superhero secret identity, and who’s itching to get back into action after taking on Captain America and the rest of the Avengers in last year’s Captain America: Civil War but can’t tell a soul about it. Tweaking the tension that surrounds his protagonist allows Watts to delve into new territory with the character. Instead of holding our breaths for that “Uncle Ben” moment, we get to experience and understand the conflict at Spider-Man’s core: having to balance all the anxieties and uncertainties of being a teen while also knowing the thrilling power of being a superhero. Being a superhero is the one thing that makes Peter happy, but it also eats up his time, interfering with his status on Midtown High’s Academic Decathlon team and fracturing his friendships. He and his best friend Ned (Jacob Batalon) suddenly don’t have time to mess around with their Star Wars toys. It kills him that he can’t get Liz (Laura Harrier), the girl of his dreams, to notice him even though she’s in love with Spider-Man. And he’s always lying to his Aunt May (Marisa Tomei) about his “internship” at Stark Enterprises. Tom Holland masterfully channels Peter’s teenage angst, which could easily come off as melodramatic or superficial, and infuses it with respect. Watts’s artful work makes you realize how often we don’t take teenagers’ anxieties, joys, and fears seriously. Peter’s life in Homecoming is a frustrating, jagged journey toward figuring out what kind of person he is. Holland can be effortlessly likable; he proved as much in Civil War. What’s more impressive in Homecoming is how adept he is at doing the tougher stuff too. He flashes teenage stubbornness in defying Iron Man (and everyone who seems to know better). But he also sheds tears, and your heart hurts with him, giving Peter Parker an aching vulnerability that we don’t see in most superheroes. This movie marks a big a moment for Holland, who, for the first time in his career, has to carry a gigantic blockbuster and does so handily. As Peter, he will remind you of your childhood best friend and, as the movie unfurls, become a hero to look up to. Quite simply, Homecoming proves that Holland is a star and the best Spider-Man we’ve seen onscreen. The strange thing about Spider-Man’s “with great power…” catchphrase is that in the comic book, no one says it out loud (it’s also been slightly tweaked/abbreviated throughout the years). It appears in Amazing Fantasy No. 15, the very first Marvel comic book appearance of Peter Parker. In that comic, written by Stan Lee and drawn by artist Steve Ditko, the saying shows up on the last page, in a yellow box, long after their story has made it very clear that if Peter Parker had done his duty, his uncle would still be alive. Homecoming keeps that tradition of not giving us a “catchphrase” moment, opting instead to show us what this idea looks like in practice. We see Peter soar through the sky with all these gizmos in his new suit, and then completely bork the landing. We see him put people in danger because of teenage idiocy. He saves the day, often in thrilling, stunning fashion — but half the time, the reason he has to come to the rescue is that he caused a problem in the first place. The balance of power and responsibility is not just present in Peter’s story, either. Michael Keaton is chilling as Adrian Toomes, a struggling contractor who, in Homecoming’s world of gods and monsters, has found a way to carve out his own pocket of power. Keaton knows how to flash his own brand of sinister, sharpening the pricks in his voice and conveying heat in his eyes. But the compelling thing about Toomes is that, like a lot the very best comic villains, he’s impossibly human — if he’d had even one lucky break, it seems, he wouldn’t be on this path. Toomes and Peter’s clashes are gorgeous flourishes of superhuman physics, power versus agility, speed versus brutality, and opposing worldviews: hardened jadedness versus restless optimism. And Watts’s film is a visual treat; to be fair, many Marvel blockbusters are. But really, the magic is in the heart and soul given to Peter, to the villainous Toomes, and to Peter’s teenage spirit. Past Spider-Man films have failed to give us a Peter Parker worth rooting for, worth protecting, worth looking up to. But in Watts’s and Holland’s hands, for the first time in a decade, Spider-Man: Homecoming gives a version of everyone’s favorite neighborhood web slinger who feels as amazing as he was created to be. Spider-Man: Homecoming is in theaters across the country on July 7. Screenings begin a night earlier.